The classic BlackBerry OS distribution has gone largely unchanged over the past month with OS 7 still having less then half of the overall market share. This data was collected by BlackBerry World for downloads of the free BlackBerry strategy game Pixelated. 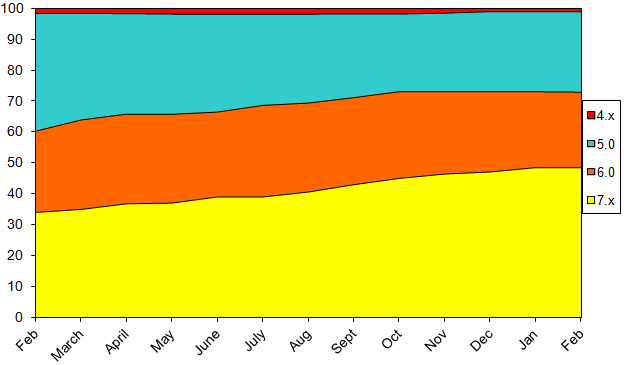 Data shown on the chart is from the beginning of February 2013 through the end of February 2014, and does not include BlackBerry 10 or PlayBook devices.